Bob Hill Jersey Blog: Jersey's Dean--- True Christians or Pontius Pilate? Jersey's Dean--- True Christians or Pontius Pilate? At the States Sitting on Tuesday 19th November 2013 Deputy Mike Higgins lodged two written questions for Senator Le Marquand the Minister for Home Affairs in anticipation of receiving answers relating to HG's arrest, detention and removal from Jersey in October 2010. As Written Questions cannot contain more than 200 words it was necessary for the questions to be in two halves, both of which can be found below as Part 1 and 2. The Minister had a week to carry out research so States Members and the public should have received accurate answers. Alas this was not the case. As a matter of interest I sent my last Blog to Senator Le Marquand and said I had quite a file and would be pleased to clarify any discrepancies. Unfortunately my offer was rejected. Had we met his answers below would not only have been different but nearer to the truth. Further to answers given on 5th November 2013, will the Minister inform Members? 1. When and what time the States Police received an allegation of harassment which led to the arrest of a woman known as HG? Answer. The States of Jersey Police received the allegation of harassment at 0934 hours on 26 September 2010. Not so. On Saturday 25th September 2010 between 545 pm and 821 pm HG phoned and emailed the Dean’s wife and the Bishop and it is alleged that at 645 pm she was rude and told the Dean’s wife that she would see the Bishop and Dean in Church the following morning. It is apparent that the Bishop, the Dean and his wife did not contact police until the Sunday morning. If they were so concerned for their safety why did they not contact the police on the Saturday evening? When I saw Dame Heather Steel she informed me that the matter was not reported to the police until the Sunday morning, she could not remember the time but promised to send it to me. She has since told me to obtain the time from my own contacts. The arresting officers arrived at HG’s home address at 934am and arrested her on suspicion of harassment. So they must have been informed some time earlier and the action taken was certainly in a panic. 2. Whether a female officer was present when HG was arrested at her flat and, if not why? Answer. No female was present during arrest. There is no requirement for a female officer to be present when a female is arrested; only for search purposes. The officers were arresting a lady whom it was alleged was harassing people and had to be immediately arrested and who was later charged and refused bail on safety grounds. Most police officers for their and the prisoner’s own safety will give the prisoner a quick frisk to ensure that they are not armed with any instrument to cause harm. It would have been good practice for a female officer to be present. It is also possible that had a female officer been present HG would have been able to confide in her and ensure that she was able to change into day clothing. 3. Was HG given time to change from her night attire and into appropriate day clothes and, if not, why not? September she was wearing a navy blue sweat shirt, a navy blue polo shirt, blue tracksuit bottoms and training shoes. Furthermore, the custody photo taken when HG returned from Court awaiting her departure from Jersey on 11 October 2010, shows that she was wearing appropriate clothing including a blue sweat shirt and blue polo shirt. The question was short and to the point the Minister was asked if HG was given time to change and if not, why not? If the officers cannot recollect what HG was wearing then the answer must be no and she was not allowed time to put on day attire. The Minister also claims that there is no custody photo from the date of arrest. When people are arrested and charged most police forces take a photograph and fingerprints. This does not appear to be case or is it another mistake? In my previous Blog, the Minister in answer to a similar question from Mike Higgins said that the claim “is, frankly, totally ludicrous and totally inaccurate.” If the Officers cannot remember what HG was wearing how can the police and the Minister claim that it was inconceivable that she went to court or prison wearing night attire? 4. Was HG placed in a police car whilst her flat was searched and, if so, why? Answer yes; she was placed in a police car, guarded by a Police Officer, whilst another Police Officer searched for evidence relating to the alleged offence. The Minister has again failed to answer as to why she was placed in the police car when her flat was being search. HG‘s flat should have been searched in her presence to prevent allegations of police “planting” evidence or putting themselves in a position where they could be accused of stealing property. As a former Magistrate the Minister should be mindful of good police practice so why did he avoid answering the second part of the question? By placing HG in the car with one male officer also opened the officer to allegations of indecent assault. Not that HG would be the type of person to make a dishonest allegation. 5. Was HG charged 11 hours after her arrest and, if so, what was the reason for the delay? The official documents record that HG was arrested at O934 and charged at 2032 which is 10 hours 58 minutes after arrest. Whether it is nine or eleven hours the time taken is unacceptable. One relevant omission is that statements were not taken from the Dean, his wife and the Bishop until between 4 and 6 pm that afternoon. That is over 8 hours after the arrest and would have required a senior officer’s approval to permit HG’s continued detention. Why were statements not taken before the arrest? It implies an arrest first and obtaining the evidence after mentality. It is also evident that HG was not treated in a fair and impartial manner. Also if there was a need to require the presence of a doctor and a consultant psychiatrist and an appropriate adult, that assistance should have been called for on her arrival and it would not have taken over 9 hours for them to attend. 6. Why, given that HG was of good character, employed and had a fixed abode, was bail denied after she was charged? Answer. Decisions as to whether or not a person should be retained in custody prior to presentation before a court and as to whether bail should be opposed in Court are made by prosecutors and not by the Police. The Minister has avoided answering the question. Again the question is simple, why was HG not bailed after being charged? The Minister attempts to confuse Members by mentioning the bail arrangements at the court. There were no valid reasons for refusing bail, given HG’s good character she was entitled to be bailed after being charged at the police station where the decision to bail falls squarely on the police. She was arrested early on the Sunday apparently because the Dean and Bishop thought she was attending their Confirmation Service at St Mary’s Church later that morning. They appear to have conducted the Service first and that is why they did not make their statements until well after the Service and the possible threat was over. The reason given by the Clergy men for pressing charges was because they believed the best way of helping HG was to arrest and place her in the hands of the police and courts. This view can also be found in the Korris report. Bail was opposed in Court on 27 September 2010 by a Centenier upon the basis of the risk of re-offending and upon the basis of the protection of HG herself. The Centenier was different from the one that charged HG how did he come to that conclusion, where was the evidence? When considering bail the Magistrate said, “With a case such as this conditional bail would be quite normal, which would mean that you would be released from custody and be subject to a condition not to contact people, who ever they might be. I am not sure this is… this is not an ordinary run of the mill case (why, was HG not equal in the eyes of God and the Law?) and before I grant bail I need to be satisfied that you still have accommodation available to you and I would also like to know that you still have employment because obviously you would have been at work today.” Why was it necessary to carry out further checks? The Duty Advocate had made a strong case for bail pointing out that HG had been arrested from her home and was in work and would also abide with what ever conditions the court would impose. She also said that to hold HG in custody would be detrimental to her health. Her pleas were ignored. To deny HG bail and detain HG in prison for two weeks was inhuman, a disgrace and totally disproportionate to the alleged offence which was unlikely to attract a custodial sentence. The Magistrate indicated that the reasons for the refusal of bail were the risk of further offending and also for HG’s own protection and he was influenced by information that HG’s landlady did not want her to reside at her former accommodation. I have spoken to the land lady who has confirmed that she would have been happy for HG to continue her tenancy had the police not with held the reasons for arrest. Further to the response given on 5th November 2013, that HG was dressed in appropriate clothing when being deposited at Jersey Airport for onward journey to the UK, will the Minister inform members what the appropriate clothing was? Will the Minister inform Members whether any provision was made for HG to collect her personal effects and clothing from her home before being put on the aircraft? Will the Minister inform Members whether, when agreeing to HG’s request to call at her flat to collect some clothing and personal effects, the officers did not allow her out of the police car to collect them herself and, if so, why? As I advised Deputy Higgins in my response to his oral question on 5 November 2013, I can confirm, again, that the woman known as HG was not wearing night attire when she appeared in Court on 11 October 2010. I have personally seen a custody photograph taken of her on that day after court and she can clearly be seen to be wearing a navy blue sweat shirt and a navy blue polo shirt. For the avoidance of doubt why didn't the Minister produce the photograph, is it because the only photograph available is the usual head and shoulders. That appears to be the case because there is no mention of what HG was wearing below her waist. Further, I am advised by the Prison Governor that on HG’s arrival at the Prison on 27 September 2010 she was wearing a blue polo shirt, blue sweat shirt, blue tracksuit bottoms and training shoes. These clothes were removed from her on arrival for laundering and placed in her personal property. She was given prison clothes to wear whilst in prison. On exit to attend court, on 11 October 2010 the Prison records confirm that her own clothes were returned to her. Whilst the Prison do not record the fact that she was actually wearing these clothes on departure from the Prison, the custom and practice is for prisoners to change into their own clothes, in the reception area, prior to departure for Court. HG did not have any night clothes in her property and prison staff would not have permitted her to leave the prison in night attire in any case. HG is clear as to what she was wearing and given that she was arrested at 934 on a Sunday morning it is likely that she was wearing night attire. There is no record of her being given other clothing whilst in prison so it stands to reason that she was put on the aircraft in the clothes she was wearing two week previously. I am unable to say precisely what HG was wearing upon leaving Jersey, although it is reasonable to assume that this included the navy blue sweat shirt, navy blue polo shirt, blue tracksuit bottoms and training shoes. The issue as to what HG was wearing is really a minor issue when compared with her arrest, the time taken to charge her, refusal of police bail and then being held in custody for two weeks. However even if those events are bad the manner in which the court via her Advocate and Magistrate came to remove HG from Jersey and leave her destitute is the real issue and should have been reviewed in line with the Korris recommendation. Clearly HG was posing problems by sending any number of emails to the Dean, Winchester staff and the Bishop when seeking redress for the manner they had handled her complaint. The Bishop's statement records that he thought that by levelling complaints to the police HG may be further helped with her needs. Unfortunately he did not explain what he had in mind and did not attend at either of HG's two court appearances? Why were the Clergy not in court to explain what the problem was and that their reason for pressing charges was to help HG. From the supporting papers it is apparent that pressure was put on HG whilst in La Moye Prison to agree to leave the Island but she was opposed to that idea. Yet a few days later she is apparently agreeing to plead guilty and be bound over to leave the Island. Why and why 3 years and why was no provision made to help HG on her arrival? The Clergy men's reasons for pressing charges was to help HG but what were they doing about it? HG’s deportation has all the hallmarks of a done deal where she says she was given the choice of leaving the Island or returning to prison. The Charge involving the Bishop was dropped, some may say it was to pave the way to get HG out of the Island. Why was she Bound Over to be left destitute in the UK when she could have been bound over to be of good behaviour in Jersey where she had friends, a home and a job? On reading the court transcripts it appears that the Defence Advocate and Magistrate had more concern for the alleged victims than for HG. We shall never know the answers because both Winchester and Jersey have refused to properly investigate the matter. Clearly if a proper investigation was undertaken they would be embarrassed by the findings. However the matter leaves a nasty taste in one’s mouth and the matter will rumble on. 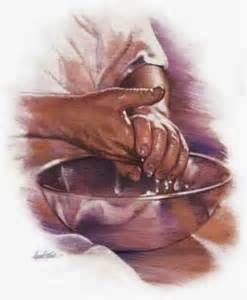 The Clergy men's actions was very much akin to that of Pontius Pilate and were washing their hands of HG who was left a broken and destitute woman in the UK. Hardly the act of Christians let alone high ranking Clergy men. Excellent post, and you may might also mention that the consultant psychiatrist on his own admission in his report had little experience of autism, and said he would need a further in depth interview, which never happened.The Court Hearing happened instead. The Consultant did not see HG until Saturday 9th October and never again. When one reads the report it is inconclusive and seems to be more of a box ticking exercise than of help to HG. As a former police officer the way some of the officers went about their duty was disappointing but according to the Jersey Independent Safeguarding Chair she is content with the way the police conducted themselves, but then again she too has not interviewed HG so how can she come to that conclusion? Thanks Phil and well spotted, it should be land lady. I will correct the typo shortly. Please see the two Links below regarding the Dame Heather Steel Report which can be found on the Peter Ould website. An injunction, so convenient, and now the cover up is complete. If the Dean of Jersey had a conscience he would resign. He has failed the office that he holds and has sullied the reputation of the Church of England. Above all he has failed a vulnerable young lady who turned to him for help. His response has been uncaring and unchristian. All the other agencies involved including the police, the judiciary and the government have also been party to this ladies terrible predicament. Shame on them all. But in particular, shame on the Dean of Jersey. Exactly! Rev Ould says at the end of the second post that the plot thickens - sickens, more like!! In a way it may be a blessing in disguise because the Report would have been a bit meaningless because the two main witnesses were not interviewed by Dame Heather. Not publishing the Report will also save cutting down a few trees to provide the paper. Bob Key doesn't know the meaning of the word "conscience" - he doesn't have one! And he cannot forgive either!! This is something he freely admitted in a sermon at the Town Church a couple of weeks ago (6.00 pm service on Remembrance Sunday, when, unsurprisingly, the theme of his sermon was forgiveness), when he said that there are some people for whom he prays to be an instrument of the Lord's forgiveness because he cannot find it in his own heart to forgive them!! Whether this is because they have genuinely wronged him or simply dared to disagree with him is another matter! I am sure that those who have had the temerity to make submissions to either of the current reports will definitely fall into the category of "the Unforgiven"! Watch out for the "media frenzy" tomorrow morning at the Town Church when, as on 28th April, Robert Key will be worshipped instead of Our Lord! Folks, you need to read my latest post. Thanks for the link and well done with the many questions asked of the PR Company, not surprised at the short answer because that has been par for the course. Can this matter be taken further up the church of england hierarchy? It will take some time for the Church hierarchy to recover from its self inflicted wounds. This is not the end of the matter and the hierarchy will be duty bound to justify the expenditure and loss of face. This could have the power to "take down the entire government of the Church of England" to rephrase one famous quote from the former Police Chief. Full details of what FW was referring to will continue to emerge over time as the cover up unravels. Not sure whether it was Frank Walker who made the remark, but be ready for the playing of "Lessons have been learnt" record. I think that you are being hard on Pontius Pilate. The Jewish leaders asked him to put Jesus to death. He sought to avoid this. He also wished to avoid strife and in the end gave in to the demands made on him. He wished to make clear that the responsibility for putting Jesus to death lay with the Jewish leaders who forced his hand. Now this is not just a historical point. The saga with HG seems to be one in which all those concerned seem keen to avoid responsibility. So the magistrate can say that he accepted the suggestion of HG's lawyer. That lawyer can say that the request to be forced out came from HG. The police can say that they respected the wishes of the landlady. And so on. Why are the all so scared to defend their decisions? HG, you have been abused and vilified, then mistreated all over again by the church and by Jersey but you may be the catalyst for needed change in the hierarchy. This was an indefensible mishandling of everything, from start to finish, and you can take some pride in knowing it is being exposed faster than they can cover it back up again. Thank you. it looks like my side will never be heard properly. But I agree it was the most awesome mess in the world, especially considering the money, power and legal expertise that the Church of England have and could have used in better ways. I think the biggest mistakes include the original report omitting my views and those of the churchwarden. And it also led to the hatred and defensiveness and cover up, when quiet conferences and discussions and disciplinary actions could have sufficed, and if the church believed me to have been wronged, approaching me directly, personally and peacefully without the judgemental and threatening attitude that they have used or the shock of the police and press releases. As it is, they have used a lot of money and actually not achieved anything positive. They have caused me to have a minor stress breakdown very recently that has left me very shaky and with some loss of motor control, and have impacted on my life in my community to the extent of me having to give up on my education, charity work and other areas of my life, again. The way they publicly attacked the Jersey Deanery was unfair on innocent parties in the deanery and did not discipline the wrongdoers, the hostility, defensiveness and abuse of power to cover up were inevitable, and the Jersey Deanery having at least three powerful legal experts on their side meant that justice was not going to be done and cover ups that included people who could access and interfere with my records were facilitated, And the Diocese were not taking my side of things or asking for my version of events in reply to allegations against me. I think the whole matter can be classed as one of the biggest messes the Church of England has ever created. and I sincerely hope, for the sake of other abuse survivors, that it will never happen again. It has not been in anybody's best interests. I have not been safeguarded or looked after by the church during this matter, they have been unhelpful and cold. And they have not even covered my complaints properly in their terms of reference, but focussed on one part of things, the Dean's handling of the matter. The Diocese now offering help is pretty futile, after the damage they have inflicted, I will spend the rest of my days broken by what they have done and would never trust or be able to work with anyone chosen by the diocese or who is influenced by their story of things, it would be damaging and humiliating, and the Diocese refuse to take into account the fact that I am already having therapy, if that is what they were offering, and I do not know, because they are not allowed to contact me. The problem is, exposing this matter is not actually bringing justice, I know Bob may object to me saying so, but so far, each exposure of wrongdoing leads to further maligning of me and further inaccurate press coverage, which actually hurts me further. I think Bob and the bloggers have done an awesome job trying to bring the true circumstances to light and expose them, but each time, they are blocked, and as someone has said, this safeguarding person claims to be satisfied with what the police did, which is bad, because what they did is wrong, and they harmed me. More and more, It looks like some powerful people in Jersey systematically conspired to do everything it took to silence a lamb so the lions could get on with their Scheduled Sunday Self-congratulatory Christian Church service. What ever could the message that day have been? The Bishop's statement is a very strange one. He has clearly read the Dame's report. He is not taking any disciplinary action. Is this because the Dame has not found any church people culpable? Or might it have to do with the tangled constitutional web of the Winchester/Jersey church, including the Dean's independent appointment from the Crown, head of the Church of England. Or, despite her compromised position, has the Dame actually found a church person culpable but the Bishop is blocked at the legal end. The Bishop sees fit to criticise HG, despite his church making a complete and unforgivable mess of their dealings with her. Does that suggest that the Dame has criticised HG, and that without interviewing her? This report is so compromised and so full of holes that anyone short of the Bishop himself could have taken out the injunction. What an almighty (pun intended) mess. Could someone please remind us approximately what it has cost to carry out an investigation by a conflicted individual who did not interview key witnesses ? You are right to ask the questions and we and in particular HG deserves to have the answers. We met the Bishop’s representatives on 11th June and a promise was made to support HG but a proposal was only made last Saturday without any consultation with HG, me or a lady who has recently been helping HG. The offer is an ultimatum with conditions and without any humility. No wonder Winchester is praying that HG will accept what is being offered. I just heard Mr Willing's interview on Channel Television, what is he rambling on about? he sounds like a bully! Dame's report is all about HG, without HG we would never have been able to bring this issue to the forefront. Mr Willing sounds like a real bully. Dame's Report must not be up to standard or it would have been published. In other words she did not do a balanced report! Bob did you ever get those minutes you were told would arrive from Dame Heather Steel? Mr Willing was an interesting choice and one wonders whether Channel TV asked the Dean or Senator Bailhache before hand. Mr Willing has always maintained that the investigation is not about HG, but it took the handling of HG's complaint to light the fuse. No I am still waiting for the transcript of my meeting with Dame Heather. I have made several requests for it. Although I have been promised a copy I am being told that because of the cost the transcribing must be done by staff at Church House. I will not let the matter rest. Thanks so much for your hard work and concern regarding a vulnerable person Bob and opening up this cesspit of snakes. What amplifies this tragedy to epic proportions is the man in ultimate charge of the police and the way he has acted. He has not called an investigation regarding the actions of the Jersey police, the man that is in charge is a man of the church, a trained lawyer, and a judge so people that elected him, including myself, hoping that this good man would do the right thing whatever that may be or indeed require being true to his faith, his profession as a judge, and the islanders that put him in office. Ian Le Marquand, has failed dismally, regarding the treatment of Graham Power and again with the bullying treatment to a low income, vulnerable women who did not get justice, just a plane ticket so she could become a destitute. Next down the ladder of responsibility is clearly Police Chief Bowron. How dare he let his officers treat a member of the public in this manner. They are both drunk on power and their own self importance and are a disgrace to the public office they hold. There are a number of similarities with the Graham Power suspension including Senator Le Marquand's role. I don't think any blame can be apportioned to Mr Bowron because I don't think he was the Police Chief in 2010. However it is open to Mr Bowron to invite an independent body to review his officer's handling of HG's arrest etc and whether any lessons can be learnt. Dame Heather Steel has and always would have 'a huge conflict' of interest. That is why her report is and will be a whitewash! fact! She has been friends with certain Establishment in Jersey, fact! Dame Heather would strongly dispute that claim, but it would be interesting for her to tell the public why they are wrong in forming that view. Regular readers will note that I did anticipate that Dame Heather's report would be a whitewash. Please see my Blog dated 28th October. I think you owe the Dean a massive apology. I would be happy if you can give me a reason. & that's just for starters ! I too am sick and tired of these constant suggestions that Dame Heather Steel is in any way conflicted. As Dame Heather Steel is not only a UK High Court judge but ALSO a member of the Court of Appeal of Jersey ........ I think SHE would be the judge of that. This notion of conflict is as ridiculous as the thought of Jersey engineering miscarriages of justice. In the wise words of Bruce Willing, "lets put this very unfortunate women to one side"
*as endorsed by Mathew Price and the independent BBC Jersey. What you have done on your blog is something Dame Steel could never do or be allowed to do. You have given HG a voice. A wonderful series of postings that not only do you credit but is a fabulous advertisement for Jersey Blogging. You see, the problem is simple. They know, we know, the big man up in the clouds know, in fact, anyone with half a brain knows that the report will simply be to embarrassing to be made public. It will get ripped to shreds. Just like my postings on Le Rocquier School - the Culture of Concealment and Secrecy is alive and kicking. Nothing has changed since Haut dela Garenne and Operation Rectangle. Where was gods church during those days? And where has it been left now? Thanks for your kind words, but it is because of the information put out by other Bloggers which include yourself, Voice for Children, Tony the Prof, Trevor Pitman and not forgetting big Ian that has exposed the failings of the Church of England and others involved in any way with HG. It is of course still open for Winchester to publish the Steel Report but the Report is now so discredited that it would only lead to more embarrassment and wasted expenditure. How people could imagine that anything is amiss is frankly beyond me. I believe we must look to ILM for reassurance on all these issues. In fact it is worth less than worthless. Luckily everything is A-Okay so we do not need to think the unthinkable or question what we are told about people or situations. Click on my name then reject what I say. I also saw Mr Willing's interview, he is taking it personally. If you have not heard it please do. The Dame report is everything to do with HG, it's because of this lady we have this report being done, so how can Mr Willing say otherwise? And the blogger above has said we should apologise to the Dean? please explain why? I'd like to know ? What happened to the person who caused the problem? Is he still allowed to act inappropriately whilst acting as chaperone to vulnerable church people? Has the Dean learnt any lessons from this? As far as I know the person who caused the problem is not in post any more. No, I don't think the Dean has learnt anything from this, if his interview with Chris Stone is anything to go by. Is the 15:49 comment correct? From my understanding the person who caused the problems was the one who was know needed to be chaperoned. anonymous at 15-49 Says, What happened to the person who caused the problem? is he still allowed to act inappropriately whilst acting as a chaperone to venerable church people, end, Have I missunderstood the situation was it not the person who caused the problem that was already being chaperoned because of a previous incident? It might be helpful to look at the Korris Report where in page 19 Korris states “By November 2008, the plan put in place seems to have been the “stepping back and stepping forward” and the encouragement of E.Y not to stand again for the post of Church Warden in April 2009. He is invited to take a year out to reflect, with the implication that he might in due course return to his duties. Considering the statement by his Vicar in the paragraph above, E.Y’s acknowledged behaviour and his previous history in relation to woman, this seems woefully inadequate. The paragraph above as referred to by Korris was that EY had apparently signed a form where he had agreed to be bound by prayer ministry guidelines as per New Wine/St Andrew's /Chorleywood in which it states about men not being alone in prayer for a woman, and appreciate touching touching. Could it be HG who has made a legal challenge to the Diocese keeping the Steele report out of the public eye? Mr Willing has yet again done another interview on CTV, Mr Willing 'come off of your high horse'. You do not represent the COE in Jersey, you are a Church Member, if two Bishops want to come to Jersey to discuss a way forward that means what happened to HG never happens again, then so they will! how dare you Mr Willing speak for all of us who are COE in Jersey. You most certainly do not speak for me! the COE have every right to come to Jersey if they so wish, stop your bully tactics and lets get to the root of how a Dean in Jersey is only answerable to the Crown and not the COE, here lies the root of the problem! come off of your high horse Mr Willing and the sooner the better as far as I am concerned. I think the one thing that Mr Willing and I do have in common is that we both have little confidence in Bishop Dakin, but we are miles apart when it comes to the reasons and motives for the Investigations. Mr Willing believes that the Bishop is poking his nose into matters which are best left to Jersey to address and that the real purpose for the investigation is to ensure that Jersey comes within Winchester’s control, which Winchester already believes to be the case. Unfortunately Mr Willing and most of his supporters have expressed very little concern for HG’s welfare or in the way the JERSEY church has handled her complaint, which is disappointing because I was of the belief that Christians cared for all people irrespective of their social standing. I think that Tony the Prof’s latest Blog is a very appropriate Sunday read and surely a lesson for us all including Mr Willing and his supporters. Tony's latest blog can be accessed below. Think I see the irony and the point Tony is making. However his final paragraph is not a best fit. The homeless sheep in this case, was not lost but expelled after shearing and has nothing to repent. Just to stretch the imaging a little further, this sheep's ghost (spirit as in Holy Ghost!) is hanging like a pall over the island's Christmas carols in this season of goodwill to all men (and other humans). There is another dimension not aired about this scandal, and why the CoE in the UK has done as the Jersey CoE leaders have ordered. Readers of your blog may have heard The Rev'd Canon Dr Gavin Ashenden, who works out of Gouray church in an interview with Matthew Price of the local BBC station a few months back in August. A good question from Mr Price who asked how much Jersey actually funded the Diocese of Winchester. My recollection may be wrong, but Dr Ashenden replied with a very large figure close to one million pounds, which they would lose if Jersey separated and he explained this would be a blow to the Winchester Diocese. The question and answer took but a few seconds. Is it not time that a states members actually put the record straight and told Jersey how much this lot are costing. After hearing Dr Ashenden, and noticing the immense houses they live in I think non practising rate payers and taxpayers may be in for quite a shock. This is partly about the money, and the Church is not prepared to lose it, for the sake of a women who got on the wrong side of Dean Bob Key and his high ranking friends. Thank you for your comment which is food for thought and no doubt has been digested by Winchester. I understand that Winchester does receive a sizeable sum from Jersey which it would lose if Jersey went independent and I would welcome information about the funding. Polo above has made a suggestion about a sheep not being lost but expelled. Perhaps a sacrificial lamb may be more apt. Jersey's church spokesperson Bruce Willing precisely summed up the Jersey Church and Legal Hierarchy's attitude with his words on the radio the other month. "... lets put this very unfortunate women to one side ..."
Good Jersey Christians risk compromising themselves as well as their final judgement if they tolerate the continuation, or even the primacy of these attitudes in their church. Being a mere passenger aboard a "church of convenience" may convey you to the gates of hell ...... or beyond. I am hoping that someone will come up with answers re the funding, I think I know but I am checking. John Gladwin's report should throw some light on the Constitutional issues, but from a personal view I can't see how Jersey could be become independent of the Church of England or what the benefits would be. What must be clear is that there is a proper independent Safeguarding Policy in place so as you say, what happened to HG does not happen again. The Parish Share figures are at http://bit.ly/1bhAYnJ and show that in 2013 the Jersey churches are being asked to give £859,502 to the Diocese of Winchester of which up to 31 October they have paid £608,728. This will essentially be to cover what the Diocese has to pay out for the clergy's pay, pensions etc. plus a share of the central Diocesan running costs. I don't know what the Diocese reckon it costs to keep a priest on Jersey for a year, but here in Birmingham diocese they reckon that pay, pension, housing and share of central Diocesan costs comes to about £65,000 per annum. I think there are about 15 paid clergy on Jersey? In which case the headline figure of around £860k looks not implausible if, as I understand it, the housing costs fall directly on the Jersey parishes rather than on the Diocese as is the case in England. Thank you Richard, we do send a tidy sum to Winchester, a good question would be, "are we getting value for our money?" I have been told that the Town Church should pay around £47k to Winchester but rarely pays the full amount. Dear Terry Le Main, No one is saying that the Dean is not a nice Man, what we are saying is that when HG complained the correct procedure was not in place. The Dean was not very forthcoming with the Korris Report. Why? We must have a proper procedure in place for someone to go to if what happened to HG happens again. Terry this is not a personal attack, do you see that HG has been treated unfairly? She is not a Dean, she is member of the public. I am sure the Dean is a very nice man, we are not saying this, we are asking that Jersey allow the COE to do their job which is to ensure safeguarding the vulnerable. Jersey needs the COE to ensure what happened to HG never ever happens again, do you see this? "No one is saying that the Dean is not a nice Man, what we are saying is that when HG complained the correct procedure was not in place." On the contrary, when (if) the Steel Report is published what we may find is that Bob Key did *everything* right. What are critics going to say at that point? It will be difficult for the Steel Report to record that Bob Key did "everything" right because on being reinstated at the end of April he apologised and he said "he regrets the mistakes he made in the safeguarding processes and upon reflection, it would have been more helpful if he had co-operated more fully with the Korris Review." If the Steel Report is published it will be interesting to see how the point above is covered. Oh 3 jeers for good old Tel Boy, the former fastest milk man in the East. He has not yet captured how his spell check works but at least he is still trying, yes very trying. Yes it’s good to remind us how the Dean and his wife work behind public scrutiny, has he not read the Korris Report and how they dealt with HG’s complaint behind closed doors. Yes they have changed some people’s lives but I don’t suppose HG will thank them for changing hers. How Christian was the levelling of charges against HG and how unfortunate it was for HG to have Terry’s niece representing her in Court and plead that she be Bound Over. Great work Terry, Jersey still needs you to score a few own goals. Terry's niece (mis) represented HG in court? it gets better by the day and not a wander the conflicted Dame Heather didn't want to look at the court case. I would also expect the Dean to be a very nice man, that's why he was made a Dean but that does not excuse the fact this man has to be answerable to the COE. So that a correct procedure is in place to ensure what happened to HG does not happen again. We must protect our Sons and Daughters and our vulnerable in society. The Dean did not feel he had to answer to the COE as he used a law The Canon Law to protect him from, this surely is not sending out the correct signal to the world at large! is it? The Dean has not been cleared until he like the rest of those who continue to bully the COE allow the COE to do their job in ensuring there is a proper procedure in place to make sure what happened to HG never happens again, it goes to the heart of the Police, the Legal system and the Church. And it looks like now the Political system. Dear Terry, I am sure the Dean is a very nice man, but I know HG. And she is also a very nice lady. So now you and I have accomplished that point, can we get to the real issue here. Transparency and a correct procedure in place to ensure what happened to HG and the unfairness you say happened to the Dean does not happen again. If the correct procedures are not in place between Jersey and the COE then this is where the root of the problem lies. The Dean for whatever reason, only he knows did not carry out what happened to HG correctly, is that because he did not have a set of guidelines that were correct? only the Dean knows the answer to this question and the powers that be. All I know is that as a member of the public HG has been extremely badly treated and her complaint not properly dealt with. I would not want what happened to HG happen again to any member of the public. So lets get our personal feelings out of the way for one moment and look at the bigger picture, the COE have a job to do, let them get on with it. I am not sure whether Terry reads the Blogs, but the points made above are valid and no one is saying that the Dean is a bad man but its the way he handled the complaint that is being questioned. Unfortunately in Jersey we do personalise matters and if the actions of some people in certain positions are questioned they are automatically judged by the positions they hold rather than what they have allegedly done. Dear Bob, you are absolutely spot on. Bob, this might seem like a silly question. Who appointed Dame Heather Steel? Its not a silly question but I am wondering whether Bishop Tim is questioning whether he made a silly decision. Of course it does become political as the Dean sits in the States Chambers and of course we can't forget those politicians that stamped their feet in the States Assembly when the Dean was re-instated! it is personal and it is childlike of them!. And not for the right reasons! HG stay strong. There are a lot of people in Jersey that support you. Bob, who forwarded the name of Dame Steel to Bishop Tim? right. In truth I don't know. We shouldn't be surprised at the cover-up going on or the inclusion of Dame Steel when one looks at the secrecy involved when things go wrong with our schools. Just look at the secrecy that still exists. Neither the Dean, nor his wife, would cooperate with Korris, according to the Report. There seems to be no spirit of willingness or inquiry in this matter. I found that some of the Island clergy had been actively discouraged by the Dean of Jersey from fully engaging with me and therefore complying with the Bishop’s request. However, as a result of the absence, or withholding, of records on Jersey and Dean R.K.’s resistance to co-operate with my requests, against the expressed desire of his Bishop, I have had to look more deeply into the possible reasons for this and comment upon whether there are disciplinary matters involved. Dean R.K. has not refuted H.G.’s description of their meeting. The only witness was Dean R.K.’s personal assistant who is his wife and she has refused to be interviewed for this Review." The bottom line is don't look at the evidence just look at the verdict. Is it any wonder Jersey can't be left to deal with this? I rest my case! It stands to reason that any local states member, who causes trouble for them. Are ousted. Its nice to see that you cant keep a good man down. Terry Le Main, the establishment's favourite cringeworthy sycophant, has apparently been waxing lyrical over our esteemed dean being "wholly cleared"
Now that's what I call a team player ! Thank God for your blog Bob, it's bringing out truth we would never have found out about. There is so much conflicting interest, if Terry Le Main's niece was representing HG in court then I'm afraid the conflict is again a disappointment. Dame Heather Steel is also another huge conflict of interest, Bob have you received those notes you asked for from Dame Heather Steel? If not, why not? I'm in London, I'm happy to get them photocopied for you and send them onto you, just let me know. Julie x keep up the truth and your hard work on this Bob you are truly inspiring. This is Jersey where there are conflicts and coincidences and some times it is difficult to tell the difference. I think Terry's niece being HG's Advocate is a coincidence but could that be said of Dame Heather? Unfortunately I have still not received the transcript of my meeting with Dame Heather which was over a month ago. Dame Heather was not prepared to delay her report to allow time for HG to see her, yet she is quite happy to delay providing me with the transcript our meeting. I have asked for a copy of the tapes so I that I can get them transcribed but my request was rejected. Is Dame Heather acting in an impartial way? No wonder there are questions being asked about Dame Heather being conflicted. Methinks you can make too much of the delay in the publication of the report. In my experience such reports are usually circulated prior to release to those mentioned in the report so that they are given a chance to respond. I know of three occasions where the report had so completely misquoted one of the witnesses that they were reported as saying exactly the opposite of what they actually said. On these occasions the interviews had been recorded electronically (though not always openly). It may be that that has happened here, although it seems more likely in this case that someone has taken umbrage about comments made about them. There may be a super injunction but I doubt it. Taking disciplinary action against someone is a fairly high hurdle to cross. In this case it seems clear that there were problems with safeguarding. The church, by looking to educate its staff in this area, is implicitly acknowledging that there were some possible failings on their part. That in itself makes it very difficult for the church to take disciplinary action where somebody may have made poor decisions but are able to claim that they had been improperly trained. Time will tell, but it does seem that some good has come out of this whole process. Although the term "lessons have been learned" is often mocked that is not always justified. Thank you for your valid comments and I think the point about the report being delayed is a good one. Winchester commissioned the investigation and they have a number of options what to do with reports that may be written. One is not publish it at all. You are correct about reports being sent to those people who are mentioned in it so they can comment on whether they have been misquoted. I spent 3 hours with Dame Heather and as per an agreement the interview was taped and I was promised a copy of the tape and or the transcript. One month on I am still waiting. Why the delay? I don’t know if I am mentioned or whether anything I said in the interview is included, but I know that I have not received a draft copy of the Report. All that the Bishop of Winchester will reveal is that he has received legal representations from an interested party requiring him not to release the report to any person. It will be for Winchester to decide how counter the legal challenge. I agree with you re the discipline hurdle. The Bishop says that he will not be taking disciplinary action against any member of the clergy, but that does not necessarily mean that they have been exonerated It should remembered that at the end of April the Dean did apologise for mistakes made when handling the complaint which the Bishop accepted were made in good faith. I hope that lessons will have been learned but I believe the matter is far from over and there may be more lessons to be learned before the matter is really over as it could rumble on for months if not years. Bob: "....You are correct about reports being sent to those people who are mentioned in it ...."
"people" Here meaning "IMPORTANT people" ........ unless "people" includes HG (if appropriate via her representative ...... a certain well respected ex-politician & ex-Met.policeman) ? is it entirely unfair ? Bob touches upon the issue of closure "...rumble on for months if not years." What does Jersey and the Church think is required to achieve closure ? Surely not by secret reports ? If it was in Dame Heather's interest the transcript would have been available weeks ago. I will keep Readers informed. Bob your blog is very obvious to anyone who is reading it you will not be going away until you get to the bottom of the truth. The truth! I think we are making some headway and the truth is getting out, it's getting enough people to believe it which is difficult. @ 08:47 LOL. Indeed, lessons might have been learnt. But where should we start ? "Like Trying to swim in a Lake of Vomit"
On that occasion did our esteemed dean justify his presence or does he only get off his ...... "unelected seat" when there are important people to impress ? Blessed are the meek ...... for they shall be reported to the police if their complaints suggest that they might turn up to the service attended by the Bishop. This is the nature and the timing of their ultimate efforts to "help" this vulnerable lady whom their own systems and failures had put at risk and then deliberately discredited and marginalised. and unjustifiably refused bail (and slandered by omission) so she lost her job and her home. How many non-autistic people would recover from that ? And just how many chances do these "pillars" of our community need to get it right while they flush literally £ #00,000's into the bank accounts of some rather-well-off conflicted appointees ? A: Only one, but the bulb has got to really WANT to change ! or at least not within our lifetimes. HG's story is far from unique and far from the most appalling. It is unusual only in the sharp relief with which it reveals the moral dissonance of our "Church and Court". To what extent this shake our community out of it's the cognitive dissonance remains to be seen. Past tragedies suggest the Jersey people will quickly forget and will roll over again and again. I like nothing more than to be proved wrong. However there is an unkind suggestion that that Jersey has the church it deserves as well as the government. The good people will again be placated by misinformation, empty assurance and platitude. Unfortunately in Jersey good people are too polite to question people holding high office for fear of being marginalised. Are they the good people or are they the sycophants and social climbers ? I watched Mr Bruce Willing tonight, it seems like this is becoming a 'name blame' issue. It isn't nor should it be. COE will need to do their work to ensure what happened to HG never happens again. It is not enough for Mr Willing to blame the BIshop of Winchester. It's as much Jersey as it is the COE's fault. Come on Mr Willing, work with the COE for good change, it's an opportunity not a negative. I am sure if SIr Philip Bailhache asked his friend Dame Heather Steel, she would give him a copy of the report. Infact I am sure Bob if you asked Sir Philip to ask Dame Heather Steel for a copy of the transcript you'd get it a lot faster. I am pretty sure that if I did ask Senator Bailhache he would tell me that he would not like to interfere. Somehow, I think he'd say that and still find a way to interfere anyway, but it wouldn't be on the side of transparency. With Senator Bailhache, it never is. The Dean may have been re-instated that still does not mean he is innocent. The COE have a job to do and I hope Jersey works with the COE to make good change in Jersey. You make a valid point, Dame Heather is not recommending that any disciplinary action be taken but she has not said as Senator Bailhache is claiming that the two men are exonerated. Why is Sir Philip Bailhache getting involved again! I could not believe it when I saw him on CTV. Is he representing himself? as an individual?, a Lawyer?, an Ex Bailiff? or Politician? 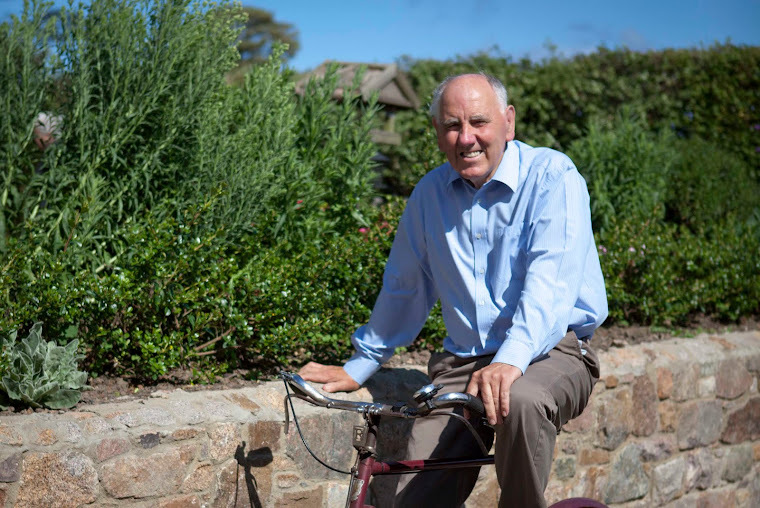 Sir Philip you do not represent the COE in Jersey. However, why don't you work with the COE for good change in Jersey? Go on, it won't hurt. And bring Mr Willing with you. Will have a Blog up in the morning concerning Senator Bailhache's Press Release and appearance on CTV. "... Bailhache .... Is he representing himself? ... or ......."
It is a ratepayer funded state church so perhaps he is representing us all as Foreign Minister ? !!! Senator Bailhache work with the COE! not against them. Here is an opportunity for Jersey to work with the Church of England. It won't be easy, but it's a door of opportunity. Sir Philip Bailhache, Sir Birt, Mr Bruce Willing...... when you pray, pray for making a door open for the COE, not closing it. The choice is yours, I know the choice I would make. HG suffered and this suffering and of others must not be forgotten. Let's use this opportunity to 'make good change in Jersey' for now and for future generations. What people seem to forget is that neither Messrs Bailhache nor Willing are elected representatives of the Jersey Church but just two men whose interest is in representing the Dean. I don't have a problem with that but it would be wrong for them to claim that they represent me in church matters. And me! However, I agree with Sir Philip that people are entitled to see the report. If that makes the Church look bad, so be it. A look at Philip Bailhache's Press Release asking who exonerated THE DEAN? Have read your Blog and note that you have corrected some of assumptions Senator Bailhache makes. Well done. Bailhache has just invented the "Uncover-up". This is where a vulnerable person claims to have been abused by a church warden. Unknown to the victim, the said warden already has a checkered history of inappropriate behaviour around women, (possibly genetic? ), to the extent that he has to be chaperoned. Rather than do the right thing by the victim, the clergy & "Fellow Christian" friends concoct a way to have the victim become the criminal. Church Safeguarding policies go out the window to a classic Jersey Way formula. The victim then falls foul to another Medusa's head, the Jersey judiciary and Lo ! Jailed before being deported to the UK & left on the streets. Stay with it. When concerned bloggers, Bob Hill, some of the very few caring politicians take up the case, the Korris report sheds a very bad light on the Dean, his wife & other "Fellow Christians". The Dean is suspended until a bit of skullduggery gets that reversed & twisted into a constitutional matter, where the victim can be brushed aside. A conflicted friend of the "Fellow Christians" comes forward to offer her services to "independently" review the case. No terms of reference are published & the inquisitor doesn't speak to the victim. Despite the world & his wife knowing any report by this appointee being a whitewash, she carries on the with farce as though it's a serious piece of work. Then just before the results of the investigation are to be published, a legal intervention by unnamed person(s) is announced. The report must stay secret even from the victim herself. Here's where the "Uncover-up" comes in. Plebs, sit up and admire the newest champion of openess, transparency above us, why it's Mr Ballache himself. Up he pops on yet another Medusa's head, CTV "News" - Claiming the unseen (unpublished) report clears the Dean absolutely & by implication sees no reason for it not to be published. Appearing for all the gullible to be fighting against the Jersey cover-up culture, wanting a confidential report released to the masses? There we have it. The Uncover-up. The act of exposing a covered up whitewash, that says exactly what you want it to say, even though it's bollox. You nearly had me fooled there with that one Phil. You'll be wanting the Sharp report to be the front page of the JEP next! It is difficult to put it more concisely or more wittily than that @14:00. The emperor has no clothes and his 'end' is in sight! Yes, very witty and very appropriate, well done. Wow I think PB is grate (not a spelling mistake) now that he has become 'The Peoples Champion' perhaps he will insist that Graham Powers affidavit is also made public (along with the Sharp Report and Syvret's Defense File) was that a pink pig that just flew past? This has to be one of the all time sick jokes, the (ex) law officer who along with the rest of the clan has suppressed the truth on just about everything. Always on the understanding it's "Not in the Public interest" and it's "Confidential Data and not for Public consumption". Religion has been the route cause of just about every conflict in history so I am really not interested whether the Dean is or is not, what I find really strange is why the warden has not been charged? Hope we'll be hearing more from this commenter. It could help new readers catch up on this story. Senator Bailhache has made certain statements about a report that has not been published but he appears to know that the Dean is innocent from the report, how can this be ? The Senator should be pleased, that in his new found appetite for transparency, the Church of England followers are now able to view your blog and all its detailed information from Guernsey, Guernseypress Newspaper blog. appear more democratic, truthfull, than the JEP. I have gone into the Guernsey Press website and noted the comments. I was surprised to see that the newspaper allowed a link to my Blog to be included in one of the Comments. Thank you Tim South for submitting the Comment and also thanks to Guernsey Press. I had noted that my site was being visited by a larger number of Guernsey folk and now know why. The Guernsey Press is totally different from our mucky rag. It must be an editorial stranglehold because they are in the same ownership. "There was close consultation with the National Policing Improvement Agency. It was only after we started to recover evidence and builders who had worked at the home were telling us that they had been told to burn bones and let bygones be bygones that we started to dig." The JEP has been shamed into slightly easing their sphincter tight censorship policy on comments - but is temporary, it returns anew at election time etc. and they generally do not include a comments section on the key stories. Why pay 50p to be misled ? The Jersey Evening Propaganda ! Thanks for the info from Guernsey, there are times when a number of reports in the JEP are just cut and paste and the headline does not match the report. journalists should do their homework and challenge statements like the Dean has been exonerated when the info to hand says that no disciplinary action is being taken, why was Senator Bailhache not challenged on that point? Not sure whether Guernsey has a Canon Law or whether its Dean has a seat in their States Chamber, perhaps now that we have some Guernsey readers we may have the info. In the Bishops recent statement in which he said that the two Bishops would be visiting both Islands, adding that the Islands have many common interests and I am sure that he is correct. It would be nice to hear back from Guernsey on how they maintain more objectivity about such things. It may also point to Jersey being uniquely accepting of propaganda, bloggers and blog readers excepted. If everyone stopped buying the JEP then guess what would happen? Unfortunately a large number of very good people who work in other areas of the paper would lose their jobs. I don't share that view because it is unfair. Why should the majority of the staff suffer because the Directors and Chief Editorial staff choose to pursue a don't knock rock the boat policy? Near the end of the Bishop's press statement he says "We pray that she will be able to accept what is being offered." What has HG been offered and why is the Bishop praying for her, a bit late in the day isn't it? I would like to get back to the main thrust of your excellent Blog which is why did a young vulnerable young lady having claimed she had been abused by a church warden end up destitute at a UK airport? 1. She is not satisfied of the Churches handling of her complaint and then they complain of harassment when she persists with her endeavours for justice. 2 To get her off their backs the Clergymen go to the police claiming they are being harassed. 3 The Clergymen claim that charging her is the best way of getting the help she needs to stop harassing them. 4 The Police duly oblige by arresting her at her home early on a Sunday morning whilst still in her night clothes, charging her, refusing bail and detaining her overnight. 5 She appears before the Magistrate some 30 hours after arrest, but is refused bail and by being kept in custody for 2 weeks she risked losing her accommodation and job. 6 Two weeks she appears in Court and is “persuaded” that it is in her best interest to plead guilty and be kicked out of the Island, thereby losing her job, home and friends. 7 HG is then taken from her cell and after popping into her flat to collect her bank card and passport, she is put on a plane heading for the UK . 8 HG is left at the airport in the clothes she had been wearing when being arrested, with no home, job or anyone to help her receive the “care” the Clergymen said she needed. 9 Korris says that the manner of her arrest, detention and deportation is a matter that should be investigated. 10 Dame Heather refuses to interview HG but is satisfied that she has the relevant information. 11. The new appointed independent Jersey Safeguarding Chair has consulted the bodies involved and discussed her findings with those same people and has concluded that there is no need to instigate a more formal review. 12 For the past 3 years HG has lived a vagrant’s life and sleeping in the street. The above actions are a catalogue of gross abuse and a stain on the church, police, social services, legal bodies and judiciary. What can be done to address the appalling failings of these people who are entrusted to care for the vulnerable? HG and indeed the Island should be grateful to you for exposing such an appalling case, but Bob what can be done to take the guilty to task and what can be done to ensure that the same thing does not happen again and be swept under the carpet. Thank you, your summary it is a pretty accurate account of what has happened and says little for those who allowed it to happen and for those who should investigate it. If people cannot accept that mistakes have been made how can they correct them so that they do not occur again. Just to keep a tab on the JEP Jersey Evening Propaganda's level of censorship. Of the two comments I submitted this afternoon BOTH HAVE BEEN CENSORED by the JEP ! but amongst other things Hitchens argues that religion is irrational, intolerant, allied to racism and bigotry, invested in ignorance and hostile to free inquiry. Fortunately not ALL religious people are like that by any means but your unprovoked comments "If you had the intelligence to understand ....if those little grey cells of yours had been more abundent! " "Now, if you want to appear to be vaguely intelligent........ No? Thought not!" Charming. LOL. I wonder what could have given Hitchens those impressions of intolerant, bigoted, ignorant and hostile to free inquiry etc? One of the disturbing trends locally and globally is the worrying affiliation between religion and extreme right wing views as seen in the emergence of the Tea Party in the USA. Worryingly some members of the extreme right been persistently stating that the Nazis were LEFT WING. I don't know why these posters remind me of you. It must be something about the arrogant style of posting and laughable superiorness and suggestion that you are somehow of a higher intelligence and better read. The Nazis exterminated people with autism spectrum disorders. Fortunately Jersey only imprisons them without bail and then deports them. Sorry constructively binds them over to leave the island and live rough on the UK streets. How "Christian" is that I ask ? One could also search for a religiously rational explanation as to how the on the one hand the dean apologised for safeguarding failures, and on the other did nothing wrong. I can't see what the problem was for the JEP, you have made a couple of relevant points which add to the discussion and that is the point of Blogs. After it's publication on your blog the JEP DID publish the above(21:09) comment. The JEP has still censored the other comments, including the one highlighting the trolling activities and the ongoing bullying of survivors of abuse including "Zoompad". The JEP will censor any comments it wants but they have increasingly have more difficulty doing this if they are ridiculed on the blogs when they do so. They generally CENSOR all links to local blogs which present evidence which contradicts their story line [even yours]. This will eventually change as their JEP/media organisation continues to loose credibility. Dean Key said: "I regret mistakes that I made in the safeguarding processes and I understand that, upon reflection, it would have been more helpful if I had co-operated more fully with the Korris [safeguarding} Review." Is that apology now rendered insincere? How quickly history is re-written and the usual suspects declare their man "cleared" and "exonerated". The current situation is that no further disciplinary action is being taken beyond his two month suspension and his public apology. An apology which was insincere if lessons have not been learnt ! Thanks for the update, it that we lead and the JEP follows? I have previously mentioned the public apology but not a personal one, I have said that unless they are given personally they are meaningless and that appears to be the case. Bob, you should raise with the Bishop the issue of Steele's delay in giving you a transcript or digital copy of the interview you had with her. Yes it is a matter that I am not letting go. One can only guess as to why it is being with held an its not in a spirit of openness. Ian's in-your-face "Shock Jock" style is not to everyone's taste but (like other bloggers) he has put a huge amount of time and effort into documenting travesties on this island. It is good news and our best wishes go to Ian and for his continued support in bringing facts and not spin to the public arena. So there we have it in black and white. Now washed "whiter than white" in Jersey's media. Another stain on their collective character. I don't think Senator Bailhache wants to believe that there is another side to the story but the Dean's comments made last April must be true as they would have been retracted by now. How surprised am I to see that PB is suggesting that HG is the one who wants the report to be kept secret? More like clutching at straws if you ask me. What is different about this thread? Perhaps the JEP is shy of publishing on Bailhache's thread where he can clearly be shown to be misleading. What does it say about Jersey's historic Justice if the former Attorney General / Bailiff is so willing to "mislead" and support a friend whatever the facts? [So] No further disciplinary action is being taken beyond the Dean's two month suspension and his public apology. How exactly is the club member now "cleared" and "exonerated" according to Mr. Bailhache ? The JEP contacted me asking for a view on the non publication of the report. I said that I was not bothered whether it was published because it will be a worthless report as neither the Church Warden nor HG had been interviewed. I also said If the Report has quotes from the Dean or from anyone else they should be given the opportunity of correcting what ever is incorrect. That is the normal practice. Thanks for publishing the link to Polo's Blog, I agree with you. It is worth reading and I really loved the caption of the "unclothed" Bishop Dakin we are really getting the "bare" facts now. Bob, I am sorry to bother you with this but I went to HG's Blog via Peter Ould's and notice that she never publishes comments. Apparently you can't comment unless a member. As her go between, in your view, would it upset her if I was to submit a comment. I found her blog fascinating and have some views on her time here. Yes HG's blog is fascinating if a bit disjointed in places. Until recently it was not open to the public. I only discovered it at the beginning of the week so I have only scratched the surface. It is a mixture of raw vulnerability and tough savvyness. I actually find her other blog "the wanderer" most fascinating. Everyday life and staying hidden as a young woman sleeping rough and the kindness she shares with other wandering folk. I might paste some excerpts if I can find them again. Anon@23:35, you are right to be cautious. HG is damaged and ultra sensitive but is not totally fragile. She is brightly facing her fourth winter largely on the streets and is in many ways probably tougher than you or I.
HG's case has taught me so much about Autism and Aspergers Syndrome (which many in society are touched or even gifted with). Aspergics are generally of above average intelligence. Occasionally to the point of breathtaking genius. Professor Grandin: "The world needs all kinds of minds"
There seems to be a surprisingly thin line between genius and profound disability on the autism spectrum. It is the luck of the "pick & mix" of symptoms + educational intervention. Be aware that Aspergers is a spectrum syndrome with a "pick & mix" of symptoms and sensitivities - every pick & mix is different. I do not know weather HG always publishes but I don't think there is a problem with commenting but it is important to frame them well. e.g. when I assumed HG was in London when she was not, caused a minor but unnecessary upset. Adult high-functioning-autistics and Aspergics usually have a very strong and clear moral compass. They may hold fast to this even to the point of prison or worse. Us more "neurotypical" would tend to abandon or adapt our principles under much less pressure. HG knows what she knows and if you do have a disagreement make it clear that you are not questioning her word, or a trivial disagreement could get out of hand. Aspergics can lie but they generally have good view of the truth and are most comfortable telling it how it is. HG tests at slightly above average intelligence despite being damaged by trauma and not having her condition diagnosed until adulthood. I hope this helps. Anyone is welcome to correct or add to this, including of course HG herself. Thanks Bob, not only for you extraordinary efforts on behalf of HG but also for the enlightenment on Asperger's this blog is bringing to us. This comment at 23: 35 is extraordinarily helpful, with a brilliant set of links. Professor Grandin is an iconic celebrity in our state and has done even more for public understanding of Autism Spectrum Disorder than she has done for our understanding of animals. I do like to think of those with non-typical wiring as often gifted. In the same way a person born with serious visual impairment is more likely to quickly develop perfect musical pitch, Aspergics may display brilliant compensations. HG has much to teach us, much to give. I have enjoyed getting to know her online, recently. She also can help us to become more sensitive, to think first before saying something which could add to her burdens or lead to confusion. I would add that HG seems significantly more than "slightly above average" in intelligence, although it doesn't surprise me that testing doesn't fully reflect that. She has largely taught herself how to surpass expectations in her own way. I find her to be very articulate and to have a sly sense of humour. The most heartbreaking awareness I took in reading her blog was from her description of her time before she was abused by the Church of England. She mentioned sailing to France, surfing, picnics with friends, and the pleasures of hiking. This was when she had a job and home, before she could have imagined the dark turn her life would take in Jersey. I would just add that we always be gentle, gentle in approach to comments. Thanks for your informative comments and the one lesson readers are learning is that it is important that those in authority know what autism is and to act accordingly. It is also that those who submit comments to HG's blog are also mindful and take your advice. Unfortunately although we are months into the investigation, Winchester, the police, the States and Dame Heather have learnt nothing, as such they are aggravating the matter. I expect that Bob is busy but happy to help. If you have particular information or require particular advice perhaps you could email Bob. ***NOT FOR PUBLICATION*** and enclose your own email address. Thank you for your comments above, yes I have been busy plus I have had Broadband problems. I have just changed from JT to SURF and there has been a few bedding in problems. I am hoping that I will now be trouble free. I have sent HG an email asking whether she would like to comment on whether she would welcome Comments on her Blog. Bob I don’t know if you are aware but at the States sitting on Monday afternoon Deputy Le Fondre is asking the 2 following Oral questions of the Chief Minister. John Le Fondre is allowing himself to be a Bailhache and Gavin Ashenden lackey and should be ashamed of himself for asking questions which should be asked by Senator Bailhache. It will be interesting to see if Bailhache has the audacity to ask any supplementary questions or whether he arranged other stooges to ask for him. It is interesting to see John asking the questions because it does look as though he has been asked to do so, however it will be interesting to know what the Chief Minister has to say as he has kept his cards close to his chest so far. I think there far more important questions being asked about HG and the Safeguarding Chair, plus more questions being asked of Senator Le Marquand about the Police's part in HG's arrest. Dear Bob, the Dame Steel report is not yet finished. How is it then that Sir Philip wants a copy of it for the Dean and the Bailiff (of which we know the Assistant is the brother of Sir Philip !). if it is not yet finished then how is it Sir Philip is demanding these people to have copies, no doubt for him to get access to it. I expect Sir Philip only has to ask Dame Heather for a copy as they are friends... Bob did you get that copy of the transcript you wanted? why is it taking so long? Yes, it looks as though Senator Bailhache has misread the Bishop's Press Statement which says“Dame Heather has informed me that she is finalising her investigation report." If she has not finished why should it be circulated? No I still have not received the transcript but Winchester has told me that I can't obtain it via the Freedom of Information process. I have been too busy to check it out. It has been funny watching just how easily the wheels come off the Bailhache-Party/JEP misinformation bandwagon on this. Thanks to your work and the pasting on other blogs of comments which the JEP has unjustifiably censored, the paper seems for the moment to be behaving itself. "Come on Tim, you are our bishop, as well as Winchester’s! But somehow you seem to conveniently forget this.It’s as if you see that those in your diocese of Jersey can be fobbed off with a strange claim of legal reasons for refusing the promised disclosure to its Ministers, government and its Dean from “an interested party”. If there is a just reason, Jersey has a legislature that will act accordingly in law. Perhaps you are still smarting from being reminded that suspension of our Dean could only come with the approval of our States of Jersey, which you directly ignored." "Jersey has a legislature that will act accordingly" is an very unfortunate way to frame his argument given the legislature's part in compounding of the safeguarding failures. is that new information in "realist's" last paragraph "being reminded that suspension of our Dean could only come with the approval of our States of Jersey"
OR is "realist" cherry-picking old information that the CoE CAN suspend the Dean from his CoE duties on the island but CANNOT suspend him from his unelected seat in our parliament? Thank you for your comment, not sure about the States having a say in approving the Dean's suspension. You raise an interesting point about the Dean's position in the States where elected Members are accountable to the Privileges and Procedures Committee and the electorate and can be suspended from the States as was the case a few years ago when the former Senator Syvret was suspended. Say for interest some one wanted to ask the Dean about his handling of the HG complaint, would the Bailiff who is another unelected Member of the States give approval for the question to be asked? Or some one wanted to bring a vote of no confidence would the proposition be approved? The problem and the reader above has many good points, but the main reason is that the COE are not able to carry out their duties as Jersey have what in known as a Canon Law that clearly states the Dean is answerable to the Crown and not the COE. I hope the COE approach this law head on, lets get this Law into the 21st century. It's what is causing all this 'in fighting' and it has to stop! Why do we have a Dean seated in parliament unelected and this also applies to the Bailiff, IT DOES NOT WORK. So lets get this also changed. And a Brother who is Assistant Bailiff who will no doubt become a Baiilff! which is utterly wrong, utterly, utterly wrong! At the start of the investigation a leading UK Clergyman described the situation as a mess. Eight months on I would say that the situation is now an even bigger mess. Dame Heather's investigation has been an expensive farce. She would not see HG as she said that she wanted to submit her report at the beginning of November which she did but now we hear that she is still finalising it. The Canon Law seems to be the key and the uncertainty of its status was probably instrumental in no disciplinary action being taken against the Dean. Although the latest Canon Law was only approved in 2011 it is based on outdated principles and I hope that one of the Gladwin recommendations will be that it is repealed. Absolutely right, it is a mess. We are now looking to Mr Gladwin to do the right thing and repeal this law that was made in 2011, interesting enough this document was produced years after what happened to HG?. That way the COE can do their job properly which is give good guidance to ensure what happened to HG never ever happens again. In addition, I must point out although I am sure the Queen did not read the Canon Law approved in 2011, but it does have her name on the front of it. As one would treat a business, a Director of a Company holds responsibility for that company, when the Queen approves areas that affect Jersey, the Bailiff, Constitutional matters....it is here the issues first arise and then after, we are left with 'Bad Governance' from the UK as laws get passed and then people in Jersey are left to suffer the consequences. I also feel this issue must get to the heart of how a Canon Law was passed in 2011, the Queen's name on the front of it? It's here the issue started and it's here it needs serious addressing from here on... Then we may be able to get proper Governance in Jersey for once and for all. THE STATES are asked to decide whether they are of opinion - to endorse the amended Canons of the Church of England in Jersey as set out in the Appendix to the report of the Chief Minister dated 6th December 2010 and as approved by the Right Reverend the Bishop of Winchester, the Dean of Jersey, the Ecclesiastical Court, and the Deanery Synod of the Island so that the draft Canons may be submitted to Her Majesty with a request that an Order in Council be issued bringing them into force in Jersey. As one can see the draft was approved by the Bishop of Winchester so it could be assumed that he was aware of the contents of the Law which is quite a lengthy document but did not have a statement of being compatible with the Human Rights Jersey Law, which was I point I raised during the debate. 1. The direct relationship of the Island to the Crown. 2. The Canons should follow the English pattern wherever possible. 3. Jersey custom and tradition should not only be respected but take precedence. In the Amended Canons now proposed, those same 3 principles remain. It is hoped that the Royal Preface from 1623 will be substantially preserved in the Order in Council to be made in due course by Her Majesty the Queen, precisely because it is the guarantee of Jersey’s special position. The principles are also reflected in Section G of the amended Canons. Whilst the Canons Law provides for dealing with wayward clergy is falls short of providing for wayward Deans and therein lays the problem. The job of investigating the Canon Law rests with John Gladwin and I hope that he will be on the ball and question whether the 2012 Law as new as it is but based on 16/17th Century principles, really sits within a modern framework. Because the States are due to debate the Budget this week, It will sit at 215pm tomorrow (Monday) just for Question Time. There are a number of questions about HG, Winchester, the Chair of the Jersey Safeguarding Partnership and the Steel Report which may be of interest to Readers. I think we could make a decent guess about the Dame's delay in "finalising" anything. If The PowersThat Be have taken the pulse of this shameful scandal, they know a crude whitewash will be fully dissected and exposed on blogs like this on social media. That will mean the disgraceful cover-up remains all the more permanently documented and understood world-wide. The PR firms and other high level spin doctors must be frantically at work to polish it up, with even more outrageous costs to be borne by the taxpayers. Thanks Elle, you are probably right. Not sure about the Taxpayer's footing the bill as that is down to Winchester and the "widow's mite" they receive on a Sunday. You are of course right to draw attention to Christmas, food, shelter and by inference to HG who is for ever the forgotten person in the sorry tale. It's getting messy in Guernsey with the Church of England not looking at all cool judging by the comments section. For the convenience of readers I have inserted a direct link to the Guernsey Press report and some very interesting and at times amusing comments such as, "Follow Jersey?!! With it’s reputation! Are you nuts? ‘If, for example, Jersey chose to go in a certain direction it would be silly for us not to as well,’ Mr Northover said. Just because we are called donkeys don’t mean we are easily led. I smell a rat ! Contrary to the English Language/Dictionary ITV/CTV and Senator Philip Bailhache think the Jersey Dean has been EXONERATED. GREAT ! this means that they ca be ridicules some more. I comment on the a mutually appointed elite lavishing considerable undisclosed public monies largely on their own glorification during times of public austerity. You then criticise me for daring to express an opinion. Don't worry, it could be worse. There are a load of sad losers who similarly think the Nazis were LEFT WING !!!!! The JEP continues to support and defend it's under-bridge-dwellers in spite of the pathologically dangerous opinions they demonstrate regarding the Nazis and rewriting of fact and history. Watch this space their is more. "no artistic representation. merely copied a photo in paint"
Yes 12:08am, but do not misjudge. It takes real skill to make the photo-paint that obvious, that jarring upon the mind and soul. This is the modern equivalent of the "V" sign in the paving of the royal square. A contrived painting cleverly capturing the very essence of the contrived occasion. Well done Jason Butler , awesome ! Please note that I have published the 2 comments above but they do appear to be a spat which is going on between subscribers on the JEP Blog and are difficult to follow. Whilst there is a thread to my blog I ask that readers submit comments in relation to my blog or from comments which emanate from it. THE Dean of Jersey, the Very Revd Bob Key, said this week that he was "thrilled", after the Bishop of Winchester, the Rt Revd Tim Dakin, announced that he would not be taking disciplinary action against any member of the clergy in relation to the handling of a safeguard- ing complaint in Jersey. It is interesting to see how Miss Davies has accurately reported what the Dean has said but the JEP has misinterpreted what the Bishop has said. I listened to the States Sitting today and was appalled at the comments made by the Deputy Bailiff William Bailhache who was in the Chair due to the absence of the Bailiff. William Bailhache made reference to the Bishop's Press Release and then said that Members would be pleased to know that the Dean following an investigation by Dame Heather Steel had been exonerated. Such a remark is disgraceful and were his strings being pulled by older brother Philip who had previously made the same comment. When will people like the Bailhache's be truthful when they speak. No disciplinary charges are being levelled against the Dean that does not mean that he has been exonerated. How can he when he has already admitted to making mistakes in his handling of HG's complaint. Dear Bob the comment above, may I get a link to hear the discussion please, I don't live in Jersey anymore but I have a huge interest in this issue. Many thanks. I think it would be great to have this link to allow those who did not hear it to hear it, I feel utterly apalled by what I heard that William Bailhache again is being a bully. You will not be able to hear what the Deputy Bailiff said but in few days time what he did say will be reported via Hansard which can be found on the States website. When it does appear I will cut and paste what was said and will publish it as Comment. If you or any other person wishes to hear the live recording of the States Sittings I ask that you go back to my Comment posted on 1st December at 1722 where I have posted a live link to Channel TV who broadcasts the States Sittings. The States sits from 930am to 1245pm and from 215pm to 530pm. Tomorrow the States will begin to debate the Budget which will probably continue throughout the day and the day after at least. If you do listen tomorrow please let us know whether the recording was clear and what you thought of the content of the speeches. Hi, I won't be able to sit and listen to the radio tomorrow, it can only be in the evenings, so any chance of hearing William Bailhache would be appreciated. So I can hear his words for myself. Not to worry, but you might want to save the link for when you are able to listen to future States Sittings. As mentioned above I will publish the Deputy Bailiff's comments when they appear in Hansard. Thanks for the link which I am sure our reader above will enjoy listening to the Deputy Bailiff's comments and also to the answers given by the various Minsters during this afternoon's question time. Thanks to thejerseyway and keep up the good work. I have heard the words William Bailhache gave, I pray he never gets to be Bailiff. That the Queen will do her duty to ensure if we have to have a Bailiff it won't be him! The Bailiff is not elected and yet we are at will to what decision the Queen makes, something is not right here, is it Bob? I think the Deputy Bailiff was totally out of order.He was being provocative and knew full well what he was saying. Unfortunately not one States Member objected. I'm next in line for Bailiff. So Be It!? Thought it may be helpful to draw attention to not one but two editorials in a local paper not Jersey's but Guernseys. Hard to believe that they are owned by the same company, who obviously have one editor with a moral compass set at true, and the other editor looking like a puppet. The alleged victim ended up being hounded off the island and dumped in the UK with no accommodation or money and is now living rough – that appears to have triggered Jersey’s desire to leave the Diocese of Winchester. At the heart of it is the handling of an investigation into a sexual misconduct complaint and the gagging of a report into it which has led to the Bishop of Winchester parachuting two other bishops in on a fact-find mission with the full support of the Archbishop of Canterbury. Thanks for the info and its interesting to see the Guernsey Press coverage which is to be welcomed. Tony's blog is well worth a read as it gives an insight to what some Guernsey folk are saying, for a direct link to the website please click the following. The Bishop's are supposed to be visiting Jersey and Guernsey, do you know if they are going to meet us ordinary church goers it will they only be meeting the likes of Bailhache, Gorst, Willing and co? You have asked a good question which I have been trying for some days to find an answer because since the visit was announced I have been in contact with Winchester asking for a copy of the Bishop's' itinerary but am still waiting. If the Bishops are coming over they should take every possible steps to meet people from all walks of life who have an interest in the matter, rather than a selected few who believe they represent the ordinary church goer. Yes, well we know one of those people, Sir Philip Bailhache does not represent me! when he wrote the press release he was not representing the States of Jersey but himself, so please ask him to stop using Jersey States Headed paper. You raise an interesting point about Senator Bailhache and his use of States headed note paper. Normally one uses headed paper for States business. If the headed note paper was intended to impress anyone it does not appear to have impressed Bishop Dakin. Are you able to update readers on the Bishops visit to Jersey, do you know when they are coming and have they allowed time in their schedule to meet ordinary church goers? Sorry not to be able to update readers but I have not received a reply, but I gather that the Bishops will be arriving today, staying at Government House and meeting the clergy tomorrow. It does not look as though any time is being given to meet the plebs.